Jonathan says his dad taught him to pray at an early age. “He was a very spiritual man,” says Jonathan. “He loved to pray and cry out to Jesus.” When Jonathan asked his dad why he cried, he told Jonathan because “Jesus overwhelms me.” Jonathan always wanted to pray like his dad and attended Our Lady of the Angels School in Chicago. On December 1, 1958, the school burned down and 92 kids and 3 nuns were tragically lost in the fire. It was a traumatic experience for Jonathan, then 8, who planned on going into the priesthood. “It was painful to lose 92 of our own,” says Jonathan. “It pushed me away from the Lord.” Jonathan’s dad tried to help him overcome his grief and encouraged Jonathan to focus on music. That’s when he abandoned his desire to become a priest and began to pursue the dream of being a musician. At 18, Jonathan says he was numb spiritually but attended a Baptist church on the south side of Chicago. The pastor laid hands on me and said, “You can stop running.” “That was a turning point for me,” he says but managed to keep Jesus in storage. “If I needed Him, I would take him out. I wasn’t getting fulfilled in the Word.” He continued his on-again/off-again relationship with the Lord for many years. He started playing in a band and in 1976 released his first solo record. In 1979, he joined the band, The Babys, and was asked to play with a then-upcoming band called Journey in 1980. His faith took a back seat as Jonathan joined the band and travelled the world with what later became one of the top rock bands in the history of music. 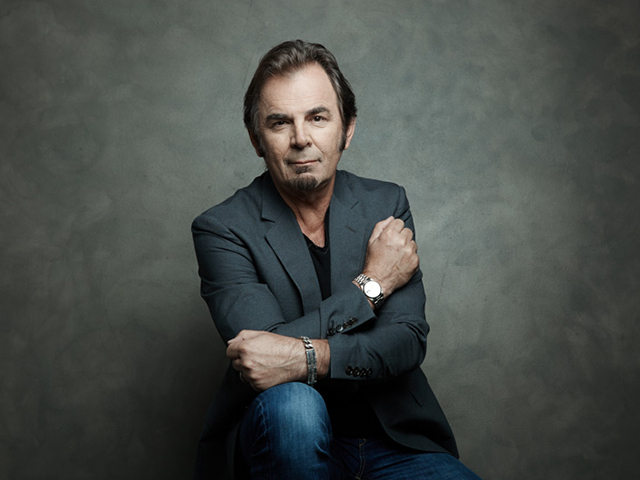 In 1982, Jonathan co-wrote Journey’s biggest hit, Don’t Stop Believin’. He says this and many of his other songs are a reflection of his relationship with God. Twice married, Jonathan raised his kids in a Lutheran church in San Francisco. One day in the studio in 1996, Journey lead singer Steve Perry came in with a Bible which piqued Jonathan’s curiosity and stirred him to explore his faith once again. THE FOUNDATION Jonathan says his dad taught him to pray at an early age. “He was a very spiritual man,” says Jonathan. From One of the Greatest Bands in History Comes a Reminder to Never Give Up Hope. 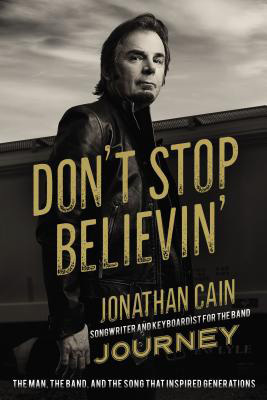 In this long-awaited memoir, complete with color photographs, songwriter and keyboardist Jonathan Cain takes us on an odyssey from center stage with Journey when all America was listening to songs like "Don't Stop Believin'," "Faithfully," and "Open Arms," to his hope and faith today.